Letters from medical officer Captain Alexander Wallace in German East Africa to his fiancée in Scotland form an evocative account of the First World War’s longest campaign. On the outbreak of war in 1914, Colonel Paul von Lettow-Vorbeck was the commander of a small army in German East Africa (Tanzania, Burundi and Rwanda). He was determined to tie down as many Allied troops as he could in the region to prevent them from being deployed elsewhere. During a four-year guerrilla campaign he ran rings around his enemies. With an army that never numbered more than 14,000 men, comprising about 3,000 Germans and 11,000 askaris (African soldiers), he succeeded in occupying ten times that number of Allied troops. These included Captain Alexander Wallace, a medical officer with the British South Africa Police, who joined a new British offensive in May 1916 that sought to reinvigorate the campaign. 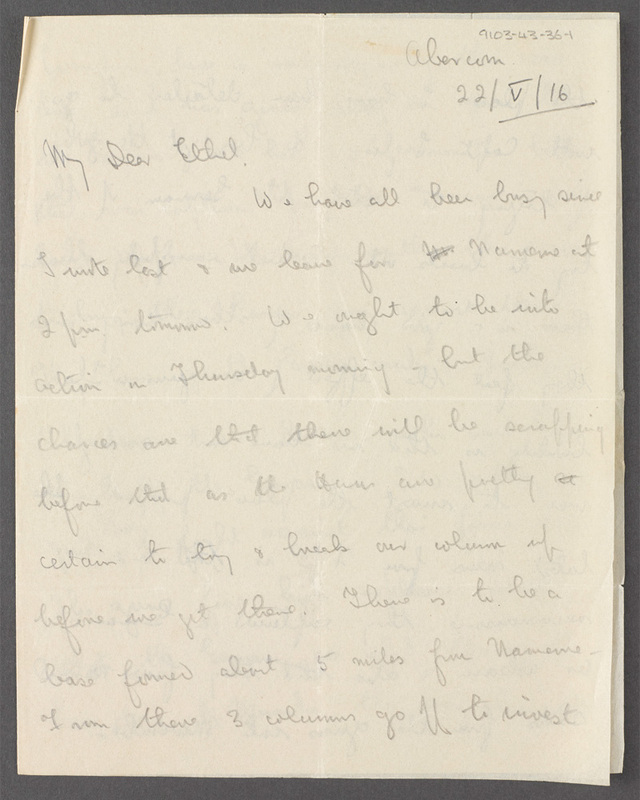 Wallace’s letters provide us with an evocative account of the East African conflict. 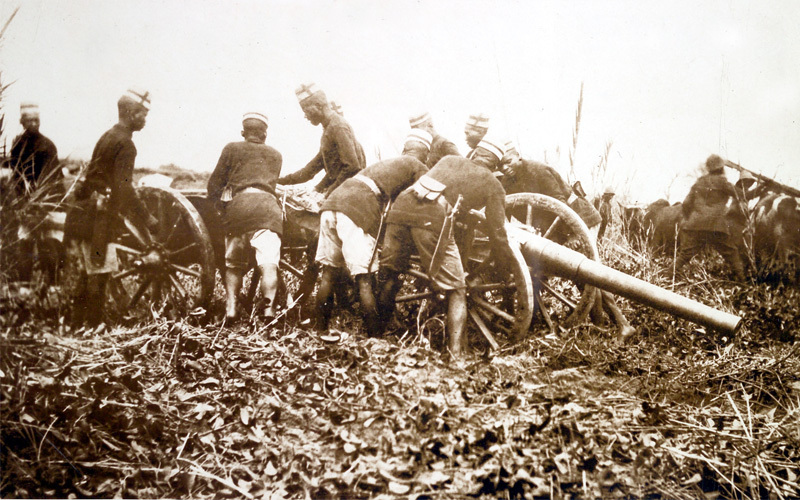 In August 1914 Lettow-Vorbeck had raided British positions around Mount Kiliminjaro and Lake Victoria in British East Africa (Kenya). 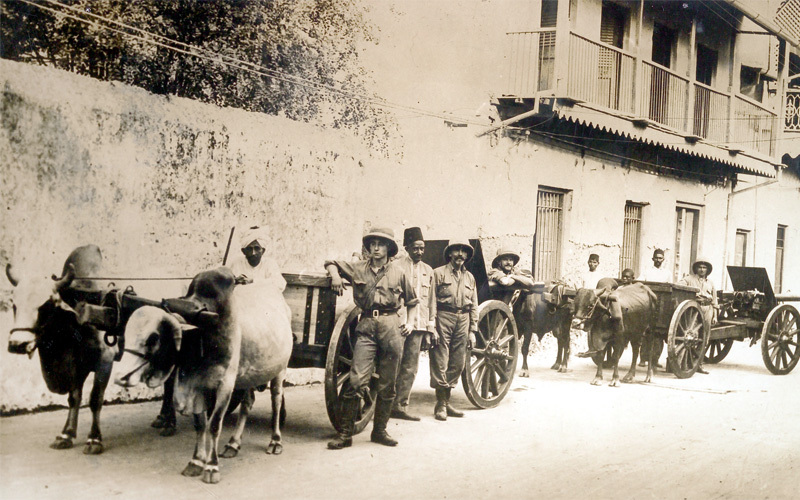 In response, a British-Indian force under Major-General Arthur Aitken landed near the German East African port of Tanga on 3 November 1914. Aitken made no attempt at concealing his plans and Lettow-Vorbeck was given time to reinforce his defences. When they came under fire, Aitken’s poorly-trained Indian troops panicked and ran. Although they were outnumbered, the Germans counter-attacked. Aitken’s troops were driven back to their boats, where they re-embarked on 5 November. At a cost of 150 casualties, Lettow-Vorbeck had inflicted 850 casualties and captured hundreds of rifles, some machine guns, and 600,000 rounds of ammunition. The supplies left behind helped equip his army for the next year. Britain commanded the sea and was able to send reinforcements. Lettow-Vorbeck, heavily outnumbered and with limited resources, switched to a guerrilla campaign, mounting raids in Kenya and Northern Rhodesia (Zambia). At the same time, the German cruiser ‘Königsberg’ attacked Allied shipping off the coast. She was eventually sunk in July 1915. In March 1916, General Jan Smuts assumed command of the Allied forces. 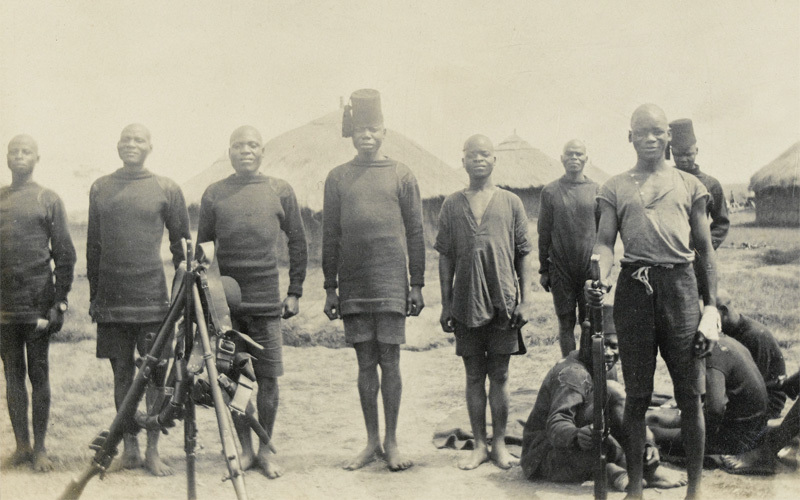 He brought with him South African troops who were now available following the conquest of German South-West Africa. A large Carrier Corps of African porters carried supplies for Smuts into the interior, much of which lacked railways or roads. 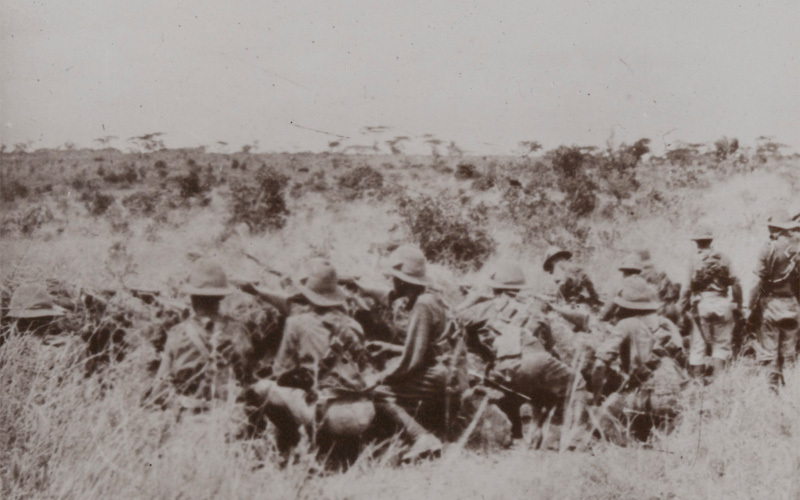 In May 1916 Smuts attacked from the north out of Kenya, while troops from the Belgian Congo (part of Democratic Republic of the Congo) advanced from the west. A column, under the command of Brigadier General Edward Northey, also advanced from Northern Rhodesia (Zambia) in the south west on 29 May. It was accompanied by Wallace’s company of the British South Africa Police. Unfortunately, most of the Germans got out of Namema in the night. Wallace’s column pursued the Germans east to Iringa, which was reached in late August 1916. Meanwhile, Smuts had captured the railway line from Dar es Salaam to Morogoro and Dodoma. Despite this, Lettow-Vorbeck always managed to disengage his forces before they were overwhelmed. Wallace’s column pursued the Germans down to the plains, where the heat was intense. ‘The difference is very marked compared with the climate up amongst the hills… It would be pretty dreadful if we were stuck in these malarial swamps during the rainy season. We are on the Kilombero River which flows into the Rufigi… The grass is very long and thick and we have to keep to the native paths. We shall all be very glad to see the last of it’. 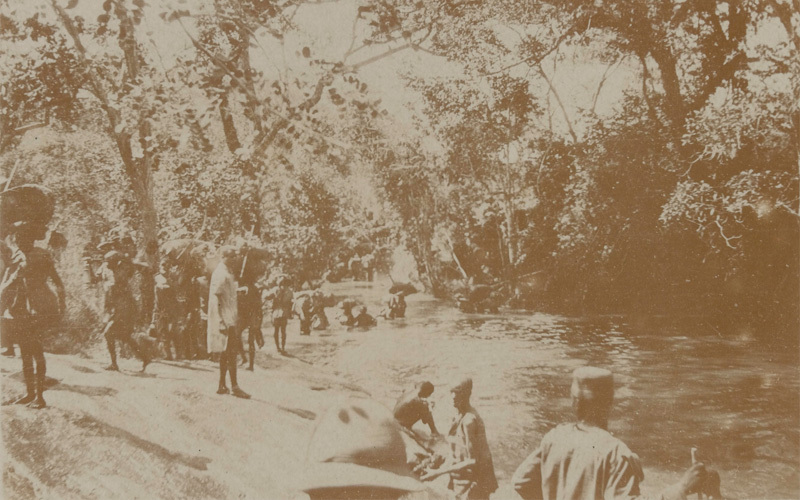 Many troops suffered from the climate and tropical diseases. 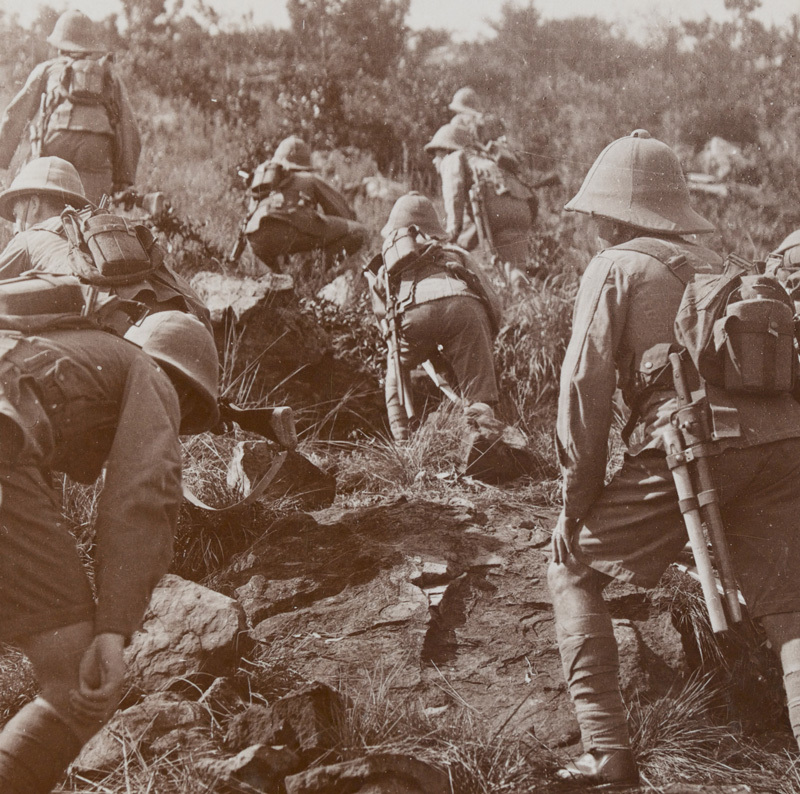 One unit, the 9th South African Infantry, began the campaign with 1,135 men in February 1916, but by October was down to 116, having hardly engaged the enemy. For every man the Allies lost in battle, a further 30 were lost through sickness. Lettow-Vorbeck’s askaris, on the other hand, were more resistant to local diseases. At the end of October 1916 the Germans took the offensive. They threatened the British lines of communication between Kisinga and Iringa, cutting off Wallace’s column, before moving on Lupembe. 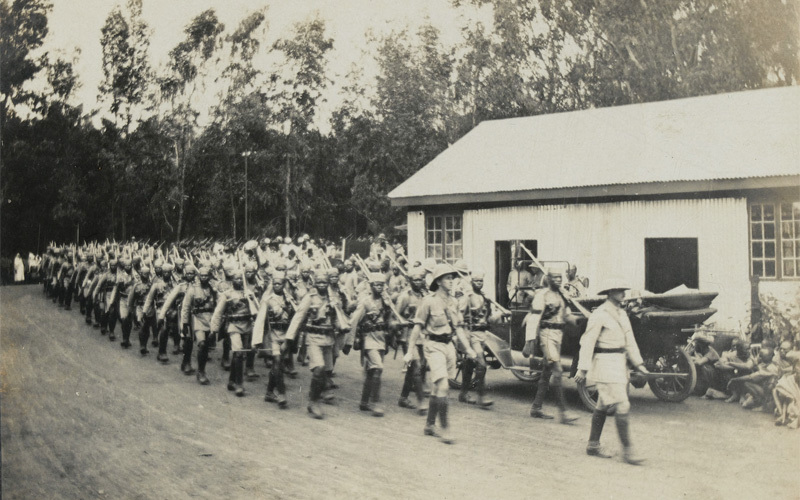 At this time Smuts began to withdraw many of his South African, Rhodesian, and Indian troops and replace them with Africans from the King’s African Rifles, Gold Coast and Nigerian Regiments, who were more resistant to the climate and local diseases. 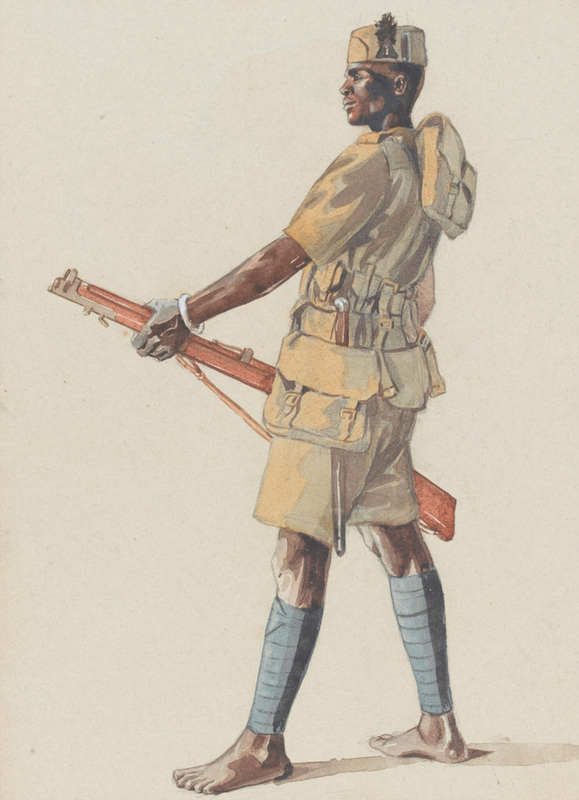 By November 1918 the ‘British Army’ was mainly composed of African soldiers. By the end of 1916 the Germans were confined to the southern part of German East Africa. Early in 1917 new moves were made against Lettow-Vorbeck from Kenya, Nyasaland (Malawi) and the Belgian Congo (part of Democratic Republic of the Congo). His forces divided into three groups. Two of them managed to escape the offensives but the third, of around 5,000 men, was forced to surrender. ‘I got 41 wounded off yesterday, but still have 20 serious cases, mostly askaris. Their wounds are all very septic and it takes a long time to dress them. I hope to get the others off in a few days. There is difficulty in getting carriers for them… This is rather a filthy camp [and] the flies are simply swarming. There are also a lot of mosquitoes’. Wallace was later Mentioned in Despatches and awarded the Military Cross for his care of the wounded during the fighting at Mpepo in September 1917. Of the 70 men he treated, 67 survived. As the British closed in, groups of Germans began to give themselves up. Wallace encountered some near Mahenge. Lettow-Vorbeck however was still raiding in 1918 when he learned of the Armistice, reputedly from a British prisoner. On 25 November 1918, he surrendered his unbeaten force, now reduced to about 1,500 men, to the British in Northern Rhodesia (Zambia). During the campaign the British and Empire forces lost over 10,000 men. German losses were about 2,000. East Africans suffered the most. One estimate is that around 100,000 carriers and camp followers died on both sides. There were also civilian casualties. Alexander Frank Wallace (1885-1954) was born on 7 October 1885 in Aberdeen, the son of John Wallace a wine merchant, and his wife Elsie. He had a younger sister and two younger brothers. The family lived at 53 George Street and then 139 Hardgate. Known as ‘Sandy’, Alexander was educated at Robert Gordon’s College and the University of Aberdeen, where he qualified as a bachelor of medicine in 1906. Wallace then intended to move to New Zealand, but en route his vessel stopped off at Port Elizabeth in South Africa. He decided to stay there and worked in several hospitals before moving to Northern Rhodesia (Zambia). In August 1909 he was appointed medical officer at the British South Africa Company’s Fort Jameson (Chipata). Six months later he transferred to Broken Hill (Kabwe), where he treated patients with malaria, blackwater fever and sleeping sickness, an illness he made a special study of for his doctorate, which was awarded in 1913. Wallace was engaged to Ethel that year and intended to return to his sweetheart in Scotland, but the war intervened. He joined ‘A’ Company of the British South Africa Police in August 1915, and spent the early part of the war securing the border between Rhodesia and German East Africa. In May 1916 he joined the new British offensive. Wallace was granted sick leave in Spring 1918. He wrote: ‘I can’t quite convince myself that I am on my way home yet. 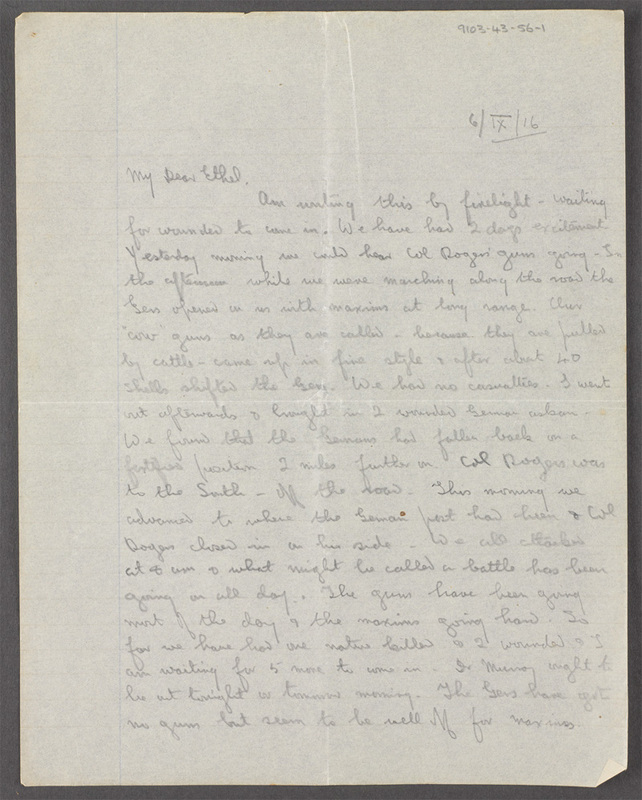 It seems too good to be true.’ (Letter from Captain Alfred Wallace to his fiancée Ethel, 10 March 1918, NAM. 1991-03-43-139). On returning to Scotland he married Ethel. They later had a son and a daughter. After recovering, Wallace briefly studied medicine in Dublin before returning to Broken Hill with his wife. He remained there as medical officer until forced to retire in 1932 due to ill health. Wallace was appointed medical officer at Trinity College in Glenalmond (now Glenalmond College). He died at Perth on 13 December 1954 from cancer.